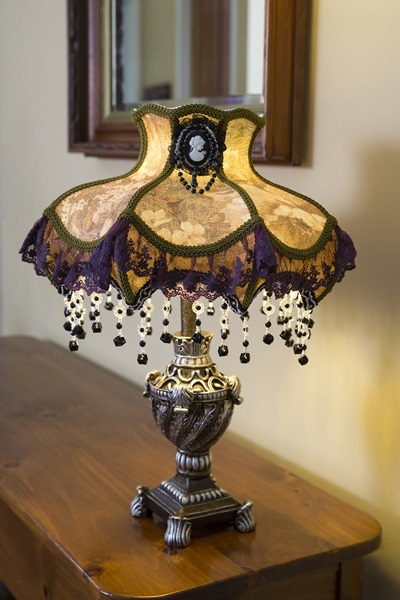 Grandiose style! 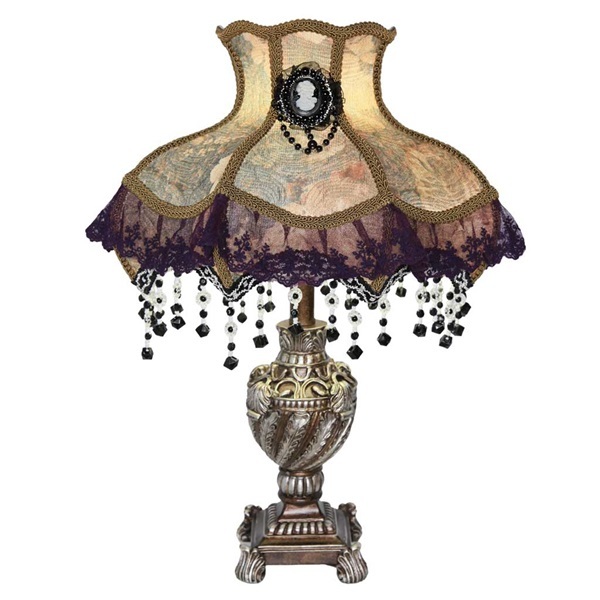 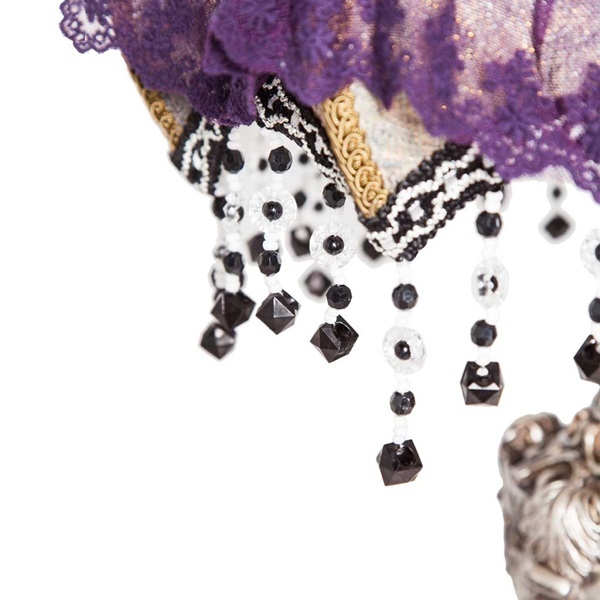 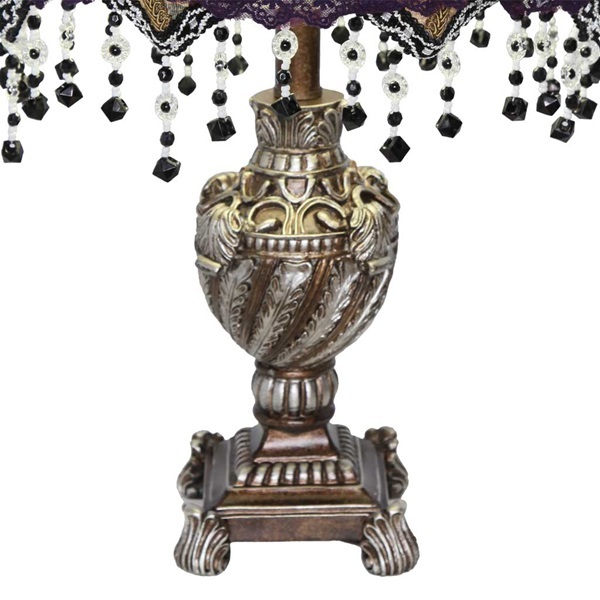 This Laced Jewel table lamp features a scalloped, trimmed, laced and beaded fabric shade that adds romantic, Victorian style to your decor. 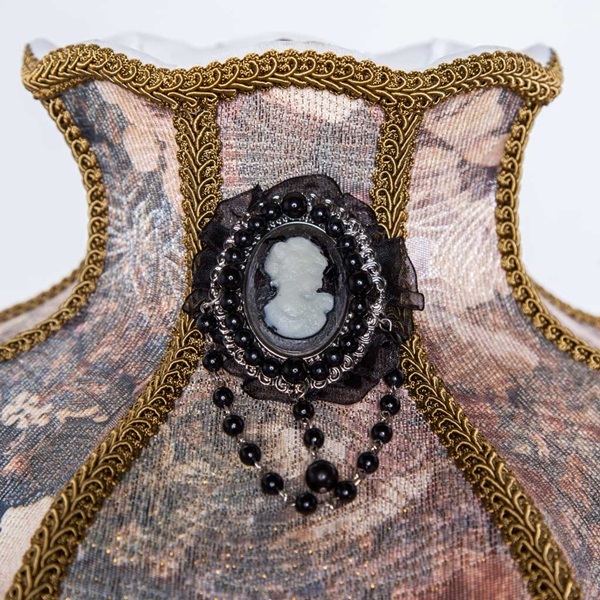 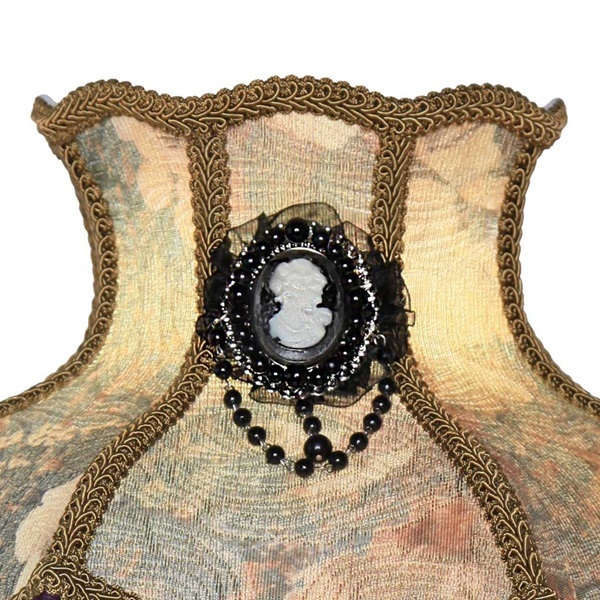 The shade is adorned with a beautiful black and white cameo brooch. 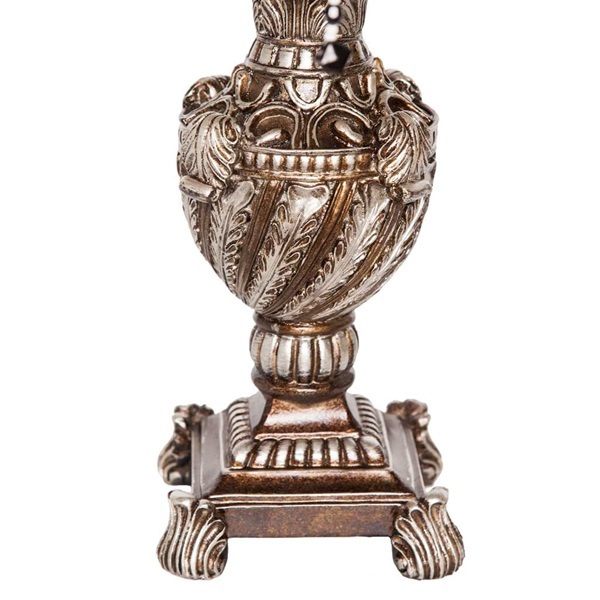 The bronze-tone base has a ornate, detailed design completing the look.